There are lots of good reasons to switch to a clean energy supplier in Massachusetts. In fact, switching to a clean energy provider is one of the simplest things a Massachusetts resident can do to help build more clean energy plants and move their state away from its heavy reliance on gas-fired power plants. 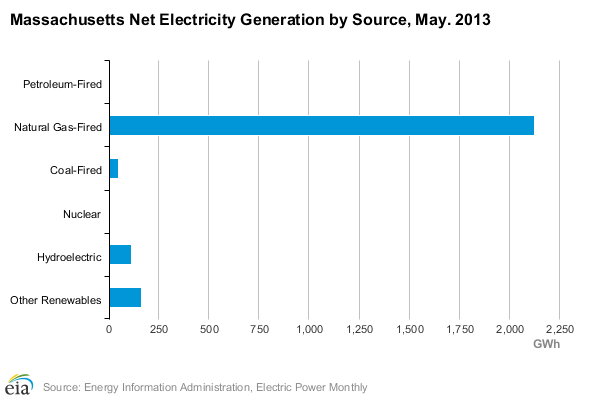 This article takes a closer look at power generation in Massachusetts and explains how Community Energy can help homes and businesses in the state to reduce their footprint. Fortunately, Massachusetts is taking some important steps towards increasing the percentage of its power that comes from renewables–currently about 6% is sourced from hydroelectricity and biomass. The state also has allotments for other types of renewable energy in its Renewable Energy Target, which mandates that 15% of the electricity in the state come from renewable sources by 2020. The percentage of power coming from other fuel-free renewables–wind and solar–is still small, but growing quickly, thanks to government incentives and sinking cost points for both technologies as they become more common. Massachusetts residents have the power to speed up this transition simply by changing over to renewable energy provider. Community Energy is a leading developer of renewable energy projects across the northeast US–including a solar plant that has just been commissioned in Berkley. The more people who sign up for our renewable energy with Community Energy, the more solar power, wind power, and other renewables we are able to build–in addition to the growth mandated by Massachusetts’s renewables target. Some of our biggest projects outside of Mass are the Bear Creek Wind Farm and Keystone Solar Project in Pennsylvania, and the Jersey-Atlantic Wind Farm off the coast of New Jersey. We also have a number of other wind and solar projects across the northeast. How much will it cost to switch to clean energy? It is possible for Massachusetts residents to make the switch to a cleaner energy supply for at little as $5/month through Community Energy. The sign-up process is simple and headache-free. Get in touch with us today to learn about how it works! What about solar panels? Will they work in Massachusetts? Rooftop solar power is an excellent option for Massachusetts homes and businesses that want to to reduce their carbon footprint, lock in electricity rates for 20+ years, and improve their energy independence. Whether your roof and circumstances are well-suited for solar power depends on a number of factors, so a consultation is necessary to determine eligibility. If you’re interested, get in touch with our solar team to learn more: 1.484.654.2470.